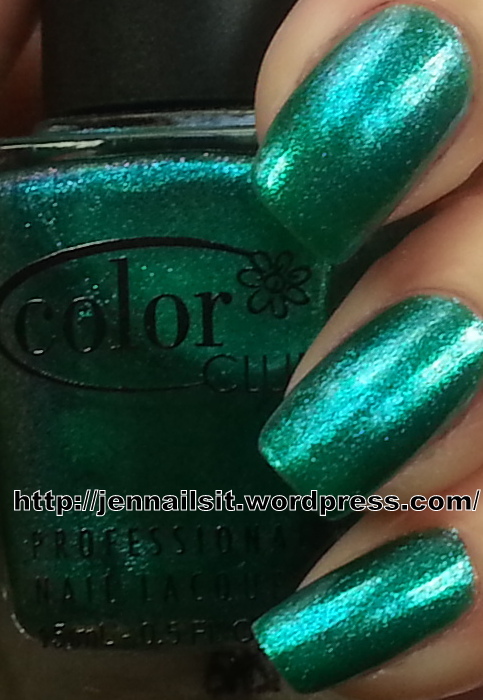 Color Club Metamorphosis | Jen Nails It! When all else fails….paint your nails! I know it’s a little bit late to be wearing a summer colour but I just didn’t get around to wearing it until now. Metamorphosis is a beautiful teal blue with lots of shift between green and blue depending on the light source. The application of this polish is foolproof as the consistancy and drying time are excellent. Here I’ve used Metamorphosis with Essie First Base and Essie Good To Go base and top coats. The durability is amazing with this polish especially considering the low price point of Color Club.